Figure 1. One of the oldest fountain features to have preserved is from Mari, Syria. We commonly see fountains in public parks or even palaces and government institutions. While fountains are often largely decorative, they have important symbolic values, such as the city of Rome and its Trevi Fountain. Since their inception, fountains have awed us as a way humans have controlled an important element of life, that being water. Today, this symbolism has not changed very much from its ancient roots. Perhaps the earliest fountains date to the beginnings of urbanism, around 3000 BCE, where they were used as early palace and garden decoration, as well as bringing water into these buildings. Often, fountains were associated with sacred, religious areas where gardens had important religious meaning and water played an important role in ritual. Fountains were first discovered in southern Mesopotamia, in modern Iraq, where a series of basins were utilized in the ancient city of Lagash that likely tapped water from irrigation networks and canals nearby. Gods, such as Ea, were associated with water, thus fountains were made to represent water flowing out from the god. In the palace of Mari, from around 1800 BCE, a fountain of a goddess has been found and, in many ways, similar to much later fountains, where she holds a vase that then has water flowing out, perhaps suggesting how the goddess provides life giving water (Figure 1). Ancient Egypt had likely similar fountains, although relatively little has been depicted of ancient fountains there. As gardens developed with improved water technologies by the early 1st millennium BCE, more elaborate fountains and gardens were created, such as at Nineveh in northern Iraq. Aqueducts were now introduced and later Greeks began adopting this technology. However, what differed from Mesopotamia is that rather than using fountains as royal or religious architecture specifically, fountains began to have a more civic meaning. For instance, at Athens, the sixth century BCE ruler Peisistratos built Enneacrounos, which became a symbol for the city. The name for this fountain means nine spouts, suggesting a large fountain with nine spouts. Its place in the agora of Athens suggest it was intended to be a public feature, although to this day the feature has not been found. In ancient Rome, evidence from Pompeii and Rome itself indicate that houses and a variety of public fountains were provided by an elaborate water network that brought water into the cities using aqueducts, including wealthy homes that often had private fountains. Fountains provided drinking water as well as decoration for the city. There were at least 39 monumental fountains in ancient Rome, which were fed by the city's nine aqueducts. Fountains now became symbols of patronage and as ways politicians and wealthy individuals to gain support, as they brought water for drinking and often provided for poorer areas of cities as well as the public in general. Figure 2. The Trevi Fountain is perhaps among the most famous fountains, which was built in the 18th century. The tradition of fountains in the Middle East never went away after the arrival of Islam in the early Medieval period. In fact, gardens and fountains became more elaborate. Fountains became part of what conceptually represented paradise in Islam. This is similar to the ancient Persian concept, where the word paradise derives from gardens. Pumps now were utilized, including wind-powered pumps similar to those developed by Greek engineers in the Classical period. Underground channels and pipes helped to pressurize and distribute water within enclosed areas, while pumps helped to circulate water around gardens. Fountains now also became designed so that water would come out forming different shapes, including geometric designs. Siphoned water, where the world siphon derives from a Persian word, appear to have been developed to allow water to come out similar to natural springs. Fountains were designed as part of the irrigation network for gardens, where water would be brought out of fountains and distributed to a variety of trees and plants growing in palatial gardens. Ritual washing has for thousands of years been associated with religious activity. By the Islamic period, however, fountains now were placed in public areas so that worshipers could use them to wash before entering sacred areas of mosques and performing their prayers. By the 15th century in Europe, classical revival helped instigate interest in fountains, particularly in Rome. Public fountains were recreated, often stylized similar to Roman fountains, while pleasure gardens were created, often inspired by Roman gardens. The Medici family used fountains in Florence as symbols of their power and civic pride, where they commissioned the Fountain of Neptune in 1565 that symbolized the family's power. It was the city's first public fountain and gave it the first continually running water supply, whereas it had previously depended on cisterns or wells for its water. Both in Europe and Middle East, fountains were seen as ways for wealthy patrons or rulers to provide their cities with drinking water. Fountains, for many urban neighborhoods, became the chief water supply while also helping these wealthy or powerful patrons to be seen in more positive light, similar to how they were used in Classical Rome for their symbolic value. In Catholic Europe, the Pope also became a benefactor for public fountains. The most famous is the Trevi Fountain in Rome, where three popes contributed to its construction until it was completed in 1762. During the 17th and 18th centuries, fountains became more elaborate, where cascading features and sunken fountains helped areas that could not easily utilize gravity for fountain water pressure to also benefit from fountains. This was also the beginning of using fountains to play out famous classical scenes such as Neptune using his trident to create a new water source. 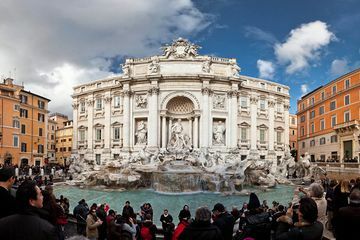 It was the Trevi Fountain and fountains developed in this period that utilized sculptures and waterfall effects that influenced even modern designs. In the case of Trevi fountain, the waterflow is of low pressure, but by making the feature look like a series of waterfalls, this gives a dramatic effect without water needing to be spouted high in the air (Figure 2). By the late 19th and 20th centuries, fountains lost their function as primary drinking water supplies in many cities. They largely became decorative and purely as symbols of civic pride. New innovations in the 19th centuries included illuminating fountains using electricity, while steam pumps provided a more reliable energy supply to move water. In fact, it was the steam pump in 1845 used in Trafalgar Square that introduced mechanical pumps as part of fountain design. By the mid-19th century, cast iron and aluminum were now used in fountains, with glass also being introduced as part of decorative or even structural elements. Fountains began to have different symbolic value as well, where they were used in great public parks as city symbols. In the United States, the Buckingham Fountain in Grant Park, Chicago, new electric pumps were now used that gave the fountain a powerful way to shoot water in the air and be controlled to distribute and push water out, giving the fountain new visual effects. In fact, Chicago has continued to innovate the modern fountain, where new digital fountains were introduced to Millennium Park, next to Grant Park, that use LED display providing digital images and spouting water features. Musical fountains, likely innovated in the Classical Period, also became more popular. The Bellagio Hotel in Las Vegas is among the most well know, where water timing and display is set to a musical score. Fountains have, even from their inception, been decorative and provided a relaxing and even spiritual connection to places. They became symbols of civic pride as well in ancient Greece. However, they were also important water sources for cities or major buildings such as palaces. Over the centuries, they have become more elaborate, even while largely loosing their function as sources of drinking water. They are now often associated with large public spaces, such as parks or squares, where in particular cities such as Chicago, Rome, London, Paris and others today prominently display these features. ↑ For more on ancient fountains in the Middle East, see: Gates, C. (2011) Ancient cities: the archaeology of urban life in the ancient Near East and Egypt, Greece, and Rome. 2nd ed. Abingdon, Oxon ; New York, Routledge, pg. 65. ↑ For more on how Greek and classical fountains developed, see: Margaret Melanie Miles (ed.) (2016) A companion to Greek architecture. Blackwell companions to the ancient world. Chichester, West Sussex, Wiley Blackwell, pg. 13. ↑ For more on Roman fountains, see: Longfellow, B. (2011) Roman imperialism and civic patronage: form, meaning, and ideology in monumental fountain complexes. Cambridge ; New York, Cambridge University Press. ↑ For more on Medieval Islamic fountains, see: Lindsay, J.E. (2008) Daily life in the medieval Islamic world. 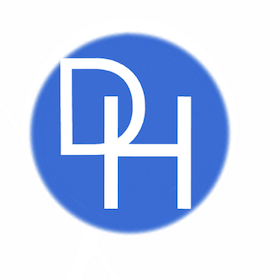 The Greenwood Press ‘Daily life through history’ series. Indianapolis, IN, Hackett Pub. Co, pg. 125. ↑ For more on the revival of fountains in the late Medieval and enaissance Europe, see: Dandelet, T.J. (2014) The renaissance of empire in early modern Europe. New York NY, Cambridge University Press, pg. 52. ↑ For more on Baroque Period fountains, see: Rinne, K.W. (2010) The waters of Rome: aqueducts, fountains, and the birth of the Baroque city. 1st ed. New Haven, Yale University Press. ↑ For on 19th and 20th centuries and their development of fountains, see: Juuti, P., Antoniou, G., Dragoni, W., El-Gohary, F., et al. (2015) Short Global History of Fountains. Water. [Online] 7 (5), 2314–2348. ↑ For more on technologies in modern parks, fountains, and public spaces, see: Miles Orvell, Klaus Benesch, & Dolores Hayden (eds.) (2014) Rethinking the American city: an international dialogue. Architecture, technology, culture. 1st ed. Philadelphia, University of Pennsylvania Press.